We are pleased to inform you that your claim has been Approved as an „Official Unique World Records™ Record” for ‘Deepest Para Motoring Flight‘. 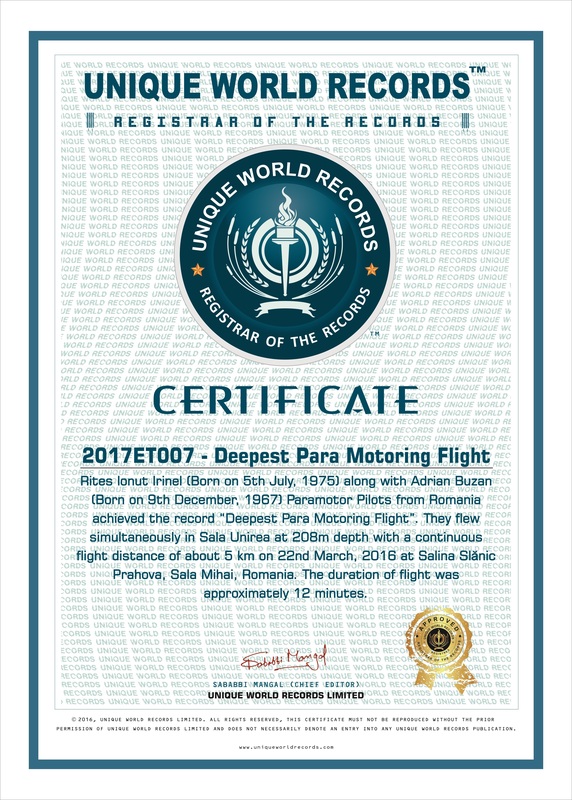 Rites Ionut Irinel along with Buzan Adrian Paramotor Pilots from Romania achieved the record “Deepest Para Motoring Flight”. 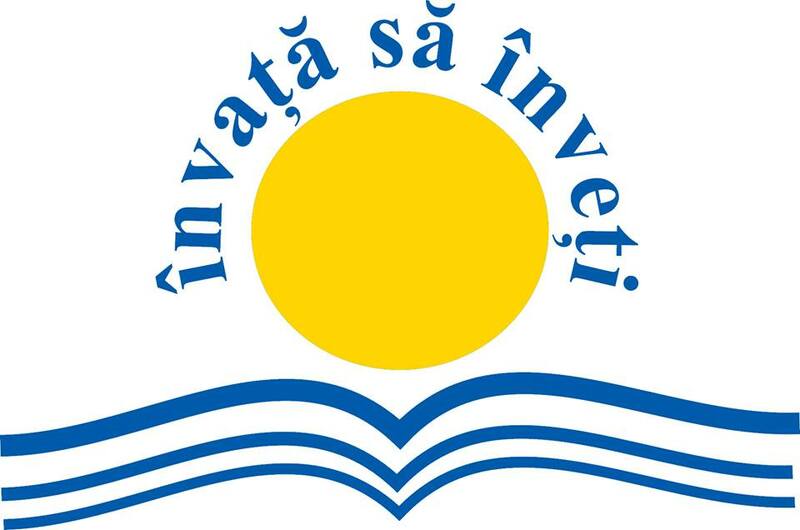 They flew simultaneously in Sala Unirea at 208m depth with a continuous flight distance of about 5 km on 22nd March, 2016 at Salina Slănic Prahova, Sala Mihai, Romania. The duration of flight was approximately 12 minutes. Thank you for contacting Unique World Records Limited.